LINCOLN, Neb. 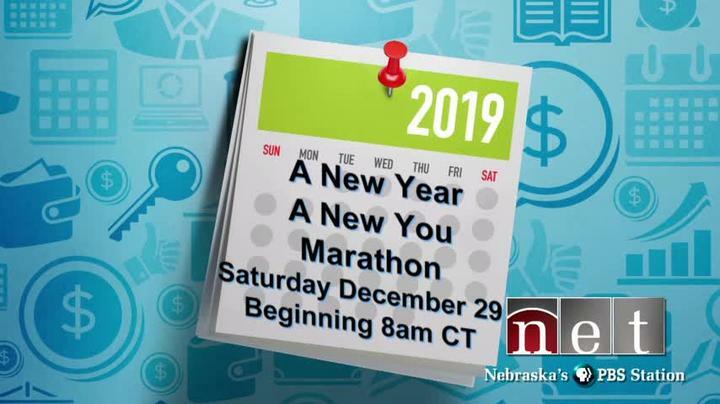 (Dec. 17, 2018) – NET, Nebraska’s PBS and NPR Stations, will celebrate the start of 2019 with “New Year, New You” – a full day of television programming Dec. 29 featuring viewers’ favorite health, wellness and financial advice shows. Those looking to the new year as a time of self-improvement can tune in beginning at 8 a.m. for tips on exercise, nutrition, stress management, brain fitness and saving money. The marathon of shows will include popular wellness coaches Suze Orman, Daniel Amen, Mark Hyman and Michael Merzenich. For a full schedule of “New Year, New You” programming, visit netNebraska.org/schedules.